It took a King County jury about one hour to decide that Christopher Monfort should spend the rest of his life in prison for killing Seattle police Officer Timothy Brenton on Halloween night 2009. 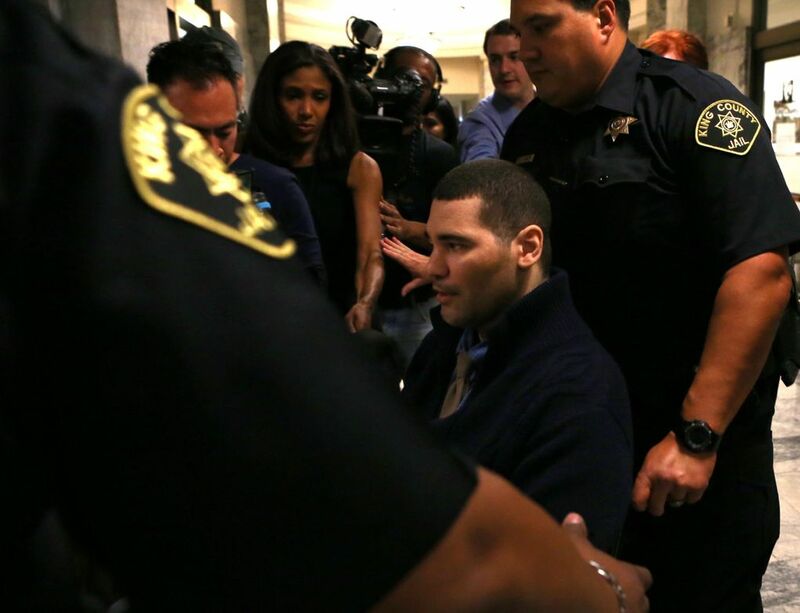 Though a King County jury spared Christopher Monfort’s life for killing a Seattle police officer nearly six years ago, jurors were told his time in prison is bound to be bleak given his paralysis and chronic health problems. After a six-month trial, the jury of six men and six women deliberated for less than an hour Thursday before sentencing Monfort to life in prison without the possibility of release. After the verdict was announced, Monfort said, “I’m happy about that” as he was wheeled to an elevator by jail guards. Most jurors declined to speak with the media, but one male juror said, “Now that the trial is over, I don’t think there’s really anything to say, other than it really was a horrible incident filled with sadness, regrettable in every way. 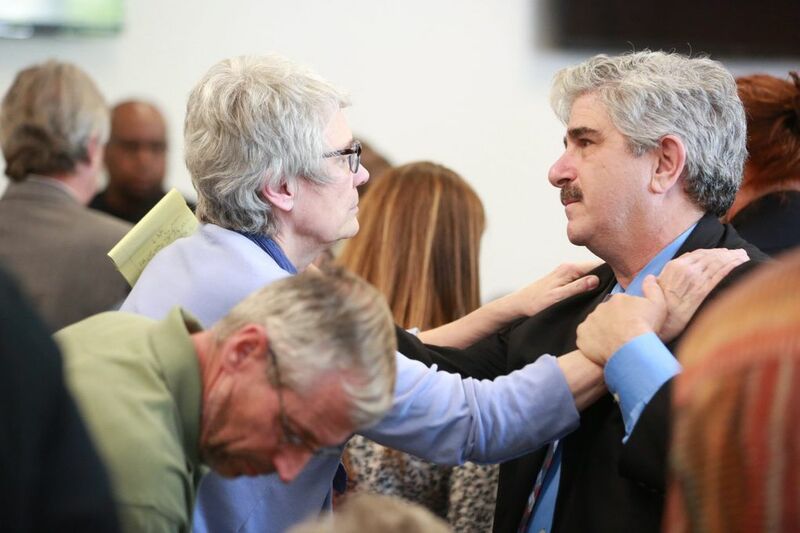 “I’m very glad the jury was unanimous in all the verdicts that we gave,” he said. The verdict signaled the jury’s rejection of the death penalty in a case in which much of the testimony centered on Monfort’s mental illness and developmental problems based in childhood. 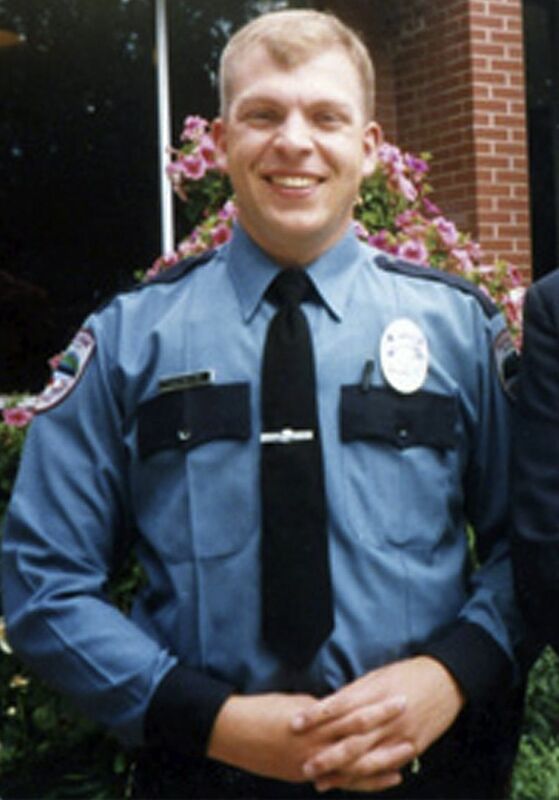 On June 5, the same jury convicted Monfort, 46, of four felonies, including aggravated first-degree murder for ambushing and fatally shooting Officer Timothy Brenton on Halloween night 2009 in Seattle’s Leschi neighborhood. The jury rejected Monfort’s insanity defense, finding that he knew right from wrong and holding him morally culpable for his crimes. Monfort was left a paraplegic after he was shot twice when he pulled a gun on Seattle police Sgt. Gary Nelson, who was with two other homicide investigators following up on a tip about the car used in Brenton’s killing, when they encountered Monfort outside his Tukwila apartment on Nov. 6, 2009. Last month, a defense expert told jurors Monfort could live another 18 years given his spinal-cord injury, but his median survival time is half that. Defense attorney Carl Luer said spending the rest of his life in prison is going to be more difficult for Monfort than other inmates who have no chance of release. 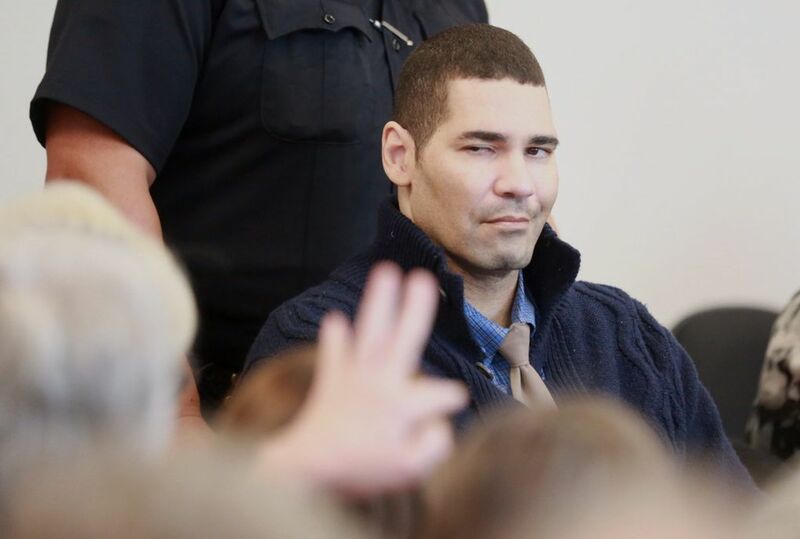 “In Christopher Monfort’s case, a life sentence is going to be particularly hard,” Luer said, given his paralysis, chronic pain and constant battle with skin and urinary-tract infections. Matt Brenton, Officer Brenton’s brother, said his family had no expectations before Thursday’s verdict was announced but wasn’t surprised the jury rejected the death penalty. “More than anything, no matter what decision they came to, it was the right one for them and we respect it and thank them for their sacrifice,” he said. Timothy Brenton, 39, was a field-training officer who lived in Marysville with his wife Lisa and two young children. He was an Army veteran of the first Gulf War and son of a retired Seattle police officer. “We will never forget Tim’s smile, dedication and friendship — and will hold these qualities dear as we protect and serve our city and each other,” Seattle Police Chief Kathleen O’Toole said in a statement. Monfort’s mother, Suzan Monfort, said Thursday she was flabbergasted the jury returned a unanimous verdict for a life sentence. “I’m very relieved and I don’t believe in the death penalty for anyone, or for my son” she said. “I know it was hard to sit through this,” she said of the lengthy trial. The defense did not dispute Monfort had killed Brenton and had tried to gun down Nelson and Brenton’s partner. But they argued he is mentally ill, suffering from a delusional disorder. They claimed Monfort’s anger at law enforcement over incidents of police brutality spurred him to target officers. His attorneys claimed Monfort believed if enough police officers were randomly killed, the deaths would put an end to police brutality because officers would reform themselves. In addition to aggravated murder, the jury last month also found Monfort guilty of two counts of attempted first-degree murder for trying to kill Brenton’s partner and later Nelson, the a homicide sergeant investigating the officer’s death. He was also convicted of first-degree arson for setting a fire and detonating pipe bombs that destroyed a handful of police vehicles at the city’s Charles Street maintenance yard nine days before Brenton was killed. On Oct. 31, 2009, Monfort stalked and ambushed Brenton and his then-rookie partner Britt Kelly (nee Sweeney) as they sat in a patrol car on a residential street in Seattle’s Leschi neighborhood. Monfort told a defense psychologist he was disappointed he failed to kill any police officers at the maintenance yard, and that he failed to kill Kelly, the jury heard. Senior Deputy Prosecutor Jeff Baird agreed that Monfort was “not normal,” but told jurors he was an extremist who was sane and knew his actions were wrong, but just didn’t care. “The defense is Mr. Monfort’s hatred of the police — and it was hatred — was so extreme … he shouldn’t be held responsible for killing one,” Baird said during the trial. The cost of prosecuting Monfort is expected to exceed $7 million. Through the end of March, defense costs had reached $5.8 million, according to the King County Department of Public Defense. The prosecutor’s cost was just over $1 million on April 30. The verdict marked the second time in the past two months that King County prosecutors have failed to convince a jury to sentence a high-profile killer to death. In May, a split jury spared the life of Joseph McEnroe, who killed six members of his ex-girlfriend’s family on Christmas Eve 2007. That jury deliberated for 3½ days. Sara Jean Green: sgreen@seattletimes.comSeattle Times staff reporter Steve Miletich contributed to this story, which includes information from Times archives.